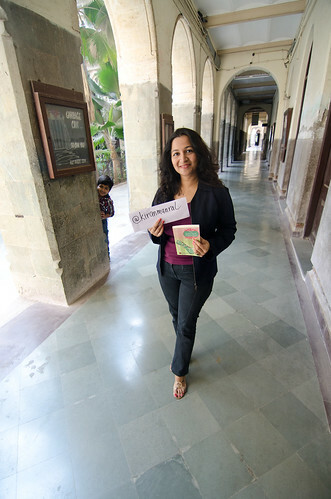 Here's what Aabha Midha wrote about the Quill and Canvas event. I'm touched because she travelled all the way from Faridabad, on her own, to come attend the event. "The Gallery was full of anxious and excited people who waited for the action to unfold. Kiran started reading ..she read a portion where Kay goes to pay condolence to the house of the deceased person. The humorous thoughts of Kay kept us laughing.... as so did the excepts from the second portion where an ambitious Kay sets forth to catch the murderer, equipped with pepper spray as her weapon.... Did she catch him? Well.... you'd be surprised at what happened there! Read the book and find out."